You´re about to read the third out of nine reviews. You don´t need to read them all, just pick the unit that seems to be the most interesting to you. In the weeks to follow I´ll review the following units: Kenwood DP-5090, Pioneer DV-610, Sony CDP-470, Pioneer BDP-140, iRiver IMP-550, Sony MZ-R 55, Sony MZ-R 37, Sony NW-A 1000 and the Sansa Clip+. Stay tuned and enjoy the third review: the iRiver IMP-550! I also implore you to read the article describing my rigorous testing methodology before you actually start reading this one. Back in 2003 when portable CD players started a second (but brief) life as mp3 players a small company named iRiver rose to prominence and became the darling of PC magazines journalists and geeks alike. They combined a spectacular number of features (even unnecessary ones) with supposedly great sound and a superior manufacturing quality. 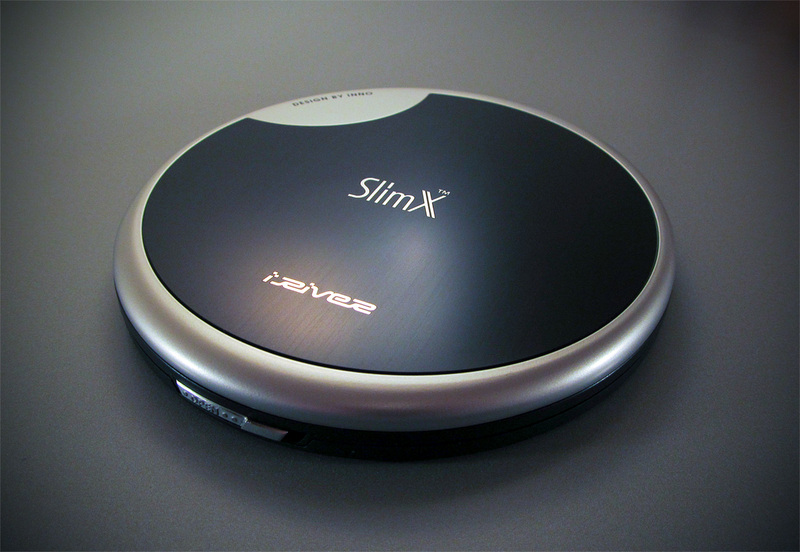 The IMP-550 from their SlimX line seems to express iRivers' approach nicely: apart from a lovely finish it also sports features more akin to a PC, features I´ve never ever seen on a portable CD player before. You can update its firmware, change scroll speed, alter playback speed, are able to choose between several DSPs, for example a 3D effect or several equalizers. 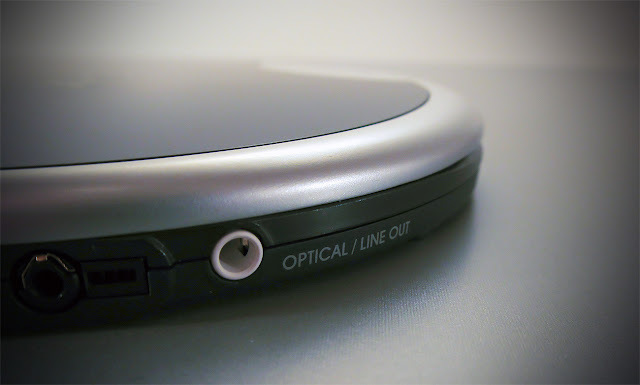 Since it lacks a display iRiver equipped the remote integrated into the headphone cable with a huge display capable of showing ID Tags as well as CD-Text information. I got it for surprisingly little money, especially when I consider the state it was in when it arrived: my unit doesn´t seem to have been used often and if, it apparently has been treated very well. The main reason to own it was the desire to try something else; my motto was "not another Sony." To be perfectly honest, I don´t like the design of the iRiver that much, it tries to look elegant but in my opinion it looks boring and uninspired. But being the owner of a portable player isn´t about design only, isn´t it? 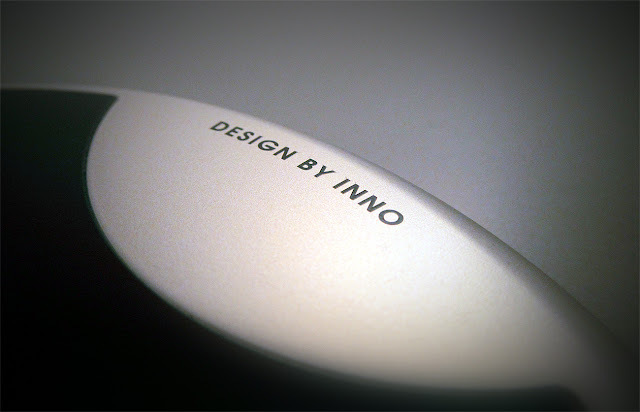 iRiver IMP-550 closeup - Who the hell is "INNO"? The promise of a well execuited finish certainly is fulfilled: iRiver incorporated several - I assume - quality parts onto its mainboard. The main processor of the IMP-550 is the SAA7750 by Philips (now NXP Semiconductors), it is responsible for decoding lossy audio material, DSP functions - in short all the functions you´d need for a portable multicodec CD player. D/A conversion is achieved by a Sony CXD3023R, regrettably I couldn´t find any information about it. The CD drive itself is manufactured by Samsung and it looks a lot like a drive designed for laptops. While layout and manufacturing of the mainboard certainly look gorgeous this Samsung drive seems to play in another league because it gets very loud when working. But let´s have a look at my measurments now, shall we? Wow, I think that these are the best measurments for a portable player I´ve ever seen. No distortions, very little noise, inaudible jitter artifacts - perfect. This should be mirrored by its sound, shouldn´t it? Sadly it doesn´t sound as well as I had hoped after reading all the glowing reviews written by others. 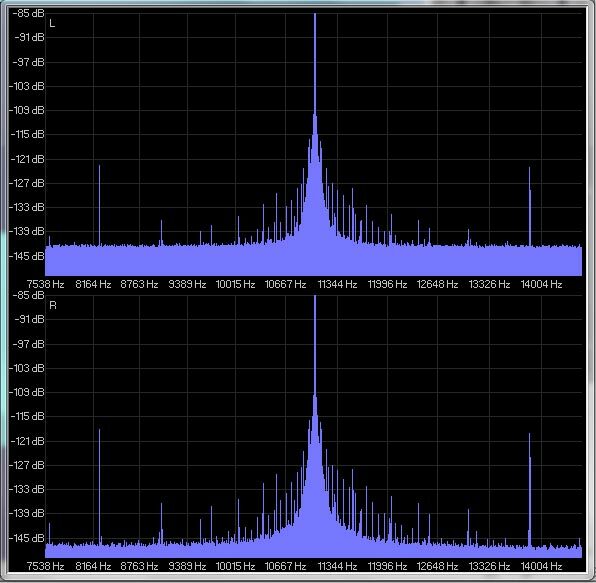 It smears details and transients, shows a compressed and not very wide stage while having a preference for very high frequencies. The latter should help definition and resolution but instead it sounds rather opaque. On occasion high frequency details feel as if they´re dissolving into noise, the other end of the spectrum is too thick, obscuring bass punches a bit. The presence range seems diminished which probably is the reason for a sound that never sizzles or seagues into strident territory, its missing attack turns every kind of music into easy listening. The extreme high frequency definition from Episode II soundtrack for example turns into noise, it looses its crispness. The track from "Ray of Light" sounds much too nice and removes the rest of attack this warm and calm sounding album has. I´ve had players like this before; but they at least combined a similar sound with a much better stage impression while also adding a lovely euphonic colour and a certain kind of soothing warmth. Before I measured it I listened to it so I expected it to measure badly, I was surprised when it didn´t. I´m not exactly disappointed by this result because it could be particularly advantageous for albums that have been engineered to sound too aggressive. Yes, it might be a solution for "Loudness War" music - but not for anything else so you, dear reader, decide for yourself. I bought this unit in 2004. It still performs well. 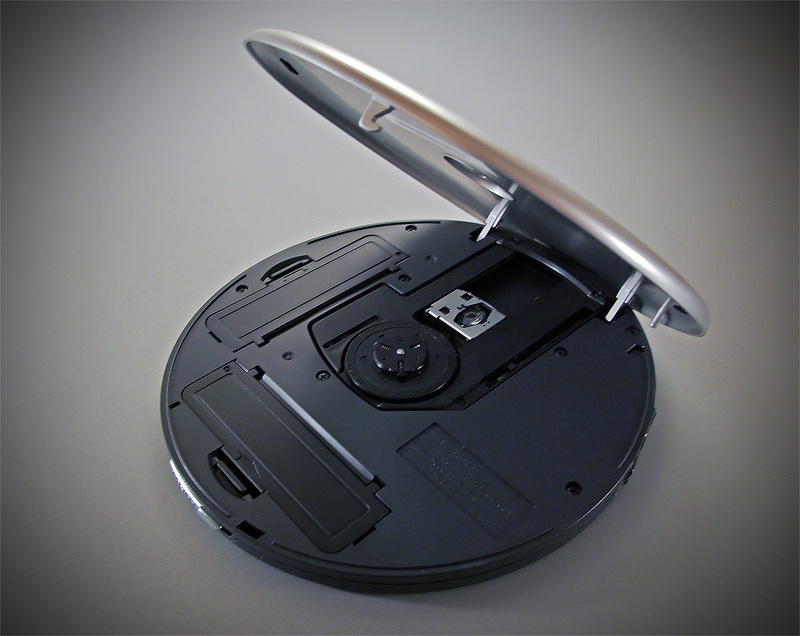 Imo, it is the best portable CD player. I have two iRiver products. Both are great.